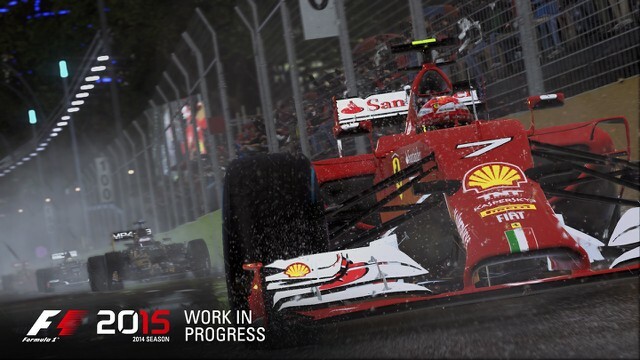 F1 2015 will be released in June for PC, Playstation 4 & Xbox One, including both the current 2015 Formula One season cars and tracks as well as all 2014-season content. Using a new version of Codemasters’ EGO engine, F1 2015 will feature not only improved visuals but also come with an improved tire model & force feedback system that is intended to result in a more realistic driving experience. Using Playstation 4 & Xbox One’s voice-recognition technology, players will also be able to directly talk to their race engineer, requesting information and asking for changes. 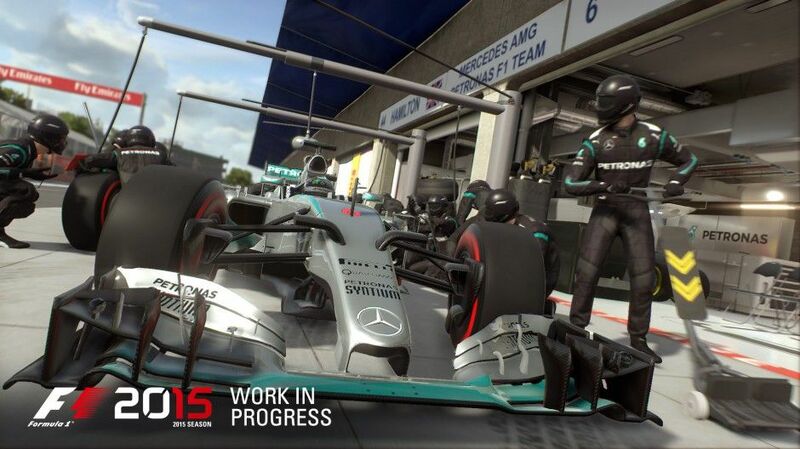 F1 2015 will also feature a new game mode called “Pro Season”, but no details on that have been revealed. "Following a dramatic start to this year’s FORMULA ONE™ season and just in time for the second round at the Malaysian Grand Prix we’re pleased to finally share with you some details on the official game of the 2015 FIA FORMULA ONE WORLD CHAMPIONSHIP™. 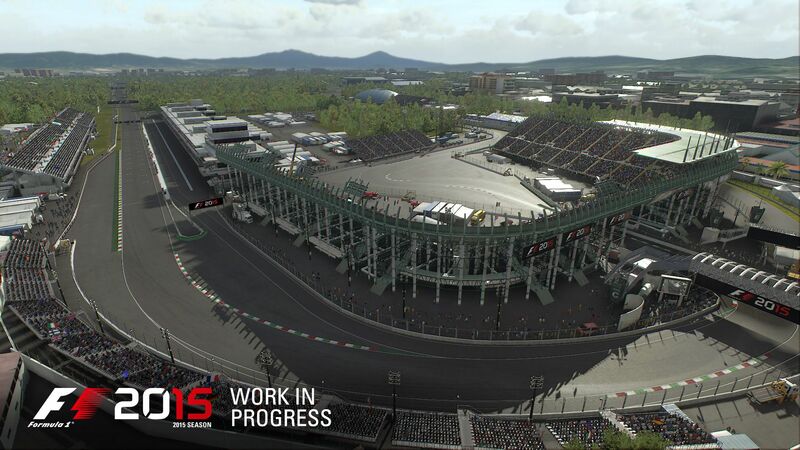 F1TM 2015 is launching in June and you’ll be able to play it on PlayStation 4, Xbox One and PC. As we’ve confirmed previously the game has been built on an all new version of EGO tailored to deliver the ultimate FORMULA ONE videogame experience and act as a significant step forward in the game’s visuals and physics-based handling model. The new model delivers enhancements and additions in over 20 areas including engine and transmission, aero dynamics, fuel tank, force feedback, suspension and most notably a brand new tyre physics model – creating a truly breathtaking and realistic representation of how these cars handle on the track. The buzz and excitement that surrounds each GRAND PRIX™ is incredible, and we wanted to transfer that to F1 2015 with an all-new broadcast style presentation that’ll deliver that unmistakable race-day weekend atmosphere. You’ll be seeing all of this in the Championship Season mode, the brand new (and very challenging) Pro Season mode and of course Quick Race and Multiplayer too. Using the voice recognition technology available for the Xbox One and PlayStation 4 consoles you’ll be able to interact with your race engineer like never before. Through in-game voice commands with Kinect for Xbox One and the PlayStation®Camera or compatible headsets for PlayStation 4 you can ask for race info, updates on the weather, tyre status, request tyres and even front wing changes… And that is just a few of the many options available. We know a lot of our fans wanted to play F1 TM 2014 on Xbox One and PlayStation 4, so as well as being the official videogame of the 2015 FIA FORMULA ONE WORLD CHAMPIONSHIP we’re also including the cars, drivers and tracks from the 2014 season as bonus content. All built from the ground up with our updated handling and new game features. The handling is a vast improvement from our previous games. In particular our new tyre model is a superb step forward towards realism, letting you explore where the limit is and allowing you to instantly feel much more connected with the car. You can now experience the changes in grip caused by temperature changes, wear, car set-up, debris and weather conditions. F1 2015 will be launching in June on Xbox One, PlayStation 4 and PC. Formula 1 game: Featuring the cars, drivers and circuits from the F1 2015 season. F1 2015 coming to PlayStation 4, Xbox One and PC. 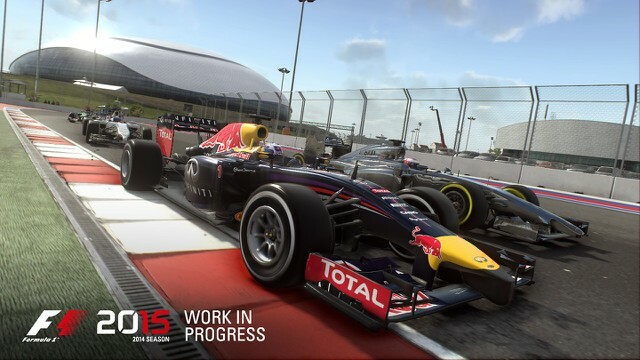 Codemasters released a second trailer for the F1 2015 video game. Updates include a brand new game engine with new physics and more realistic tire performance. The trailer does not show much of the new game engine updates, but it's a really nice teaser. The release has been pushed back to July 21—and you can pre-order now. Built on a new game engine called EGO that targeted more than 20 enhancements, Codemasters says each car's handling is "a vast improvement from our previous games," such that "vehicle dynamics much more accurately convey the difference in performance and the feel between mechanical and aerodynamic grip." Tire performance will more accurately reflect various kinds of degradation, so drivers "experience the changes in grip caused by temperature swings, wear, car setup, debris, and weather conditions." New features include broadcast-style presentation, an online practice session, and free updates to keep the game fresh throughout the rest of the real Formula One season. 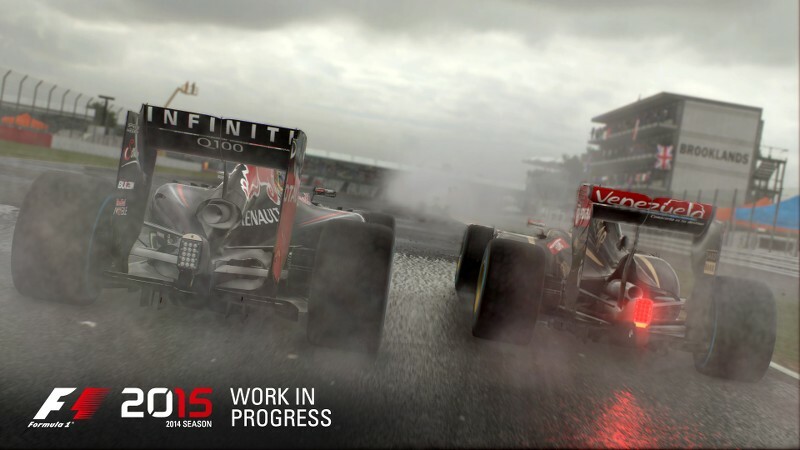 If you'd rather drive down memory lane, F1 2015 includes a fully playable 2014 season as part of the bonus content. Pre-order the game from certain outlets and get F1 2015 in a metal case, plus the "Race Like a Champion" guide that has tips and more details on each track. Release dates are July 10 in Europe and Australia, July 21 in North America, and July 24 in Brazil. A new patch for F1 2015 including the below fixes. Improved session joining speed through the multiplayer hoppers. Please note that voice command support is still being developed, and is expected to be delivered in a later update.